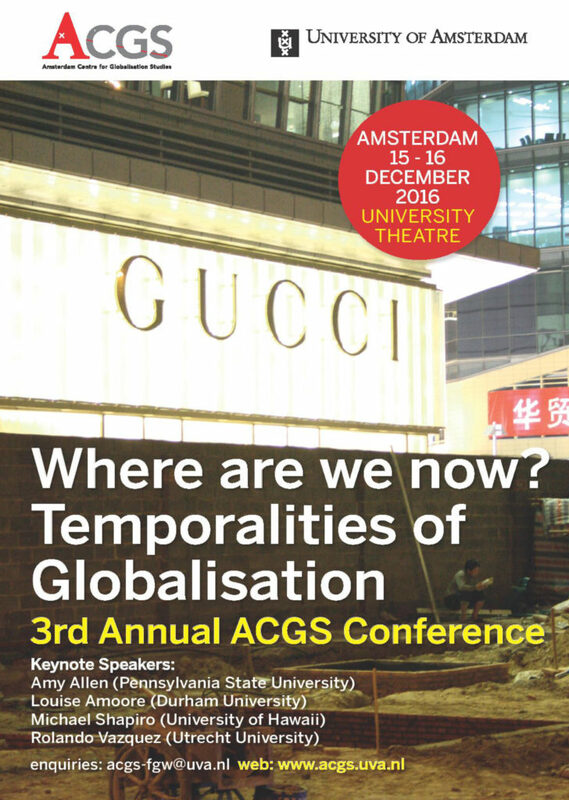 This year’s theme for the third annual conference of the Amsterdam Centre for Globalisation Studies is: “Where Are We Now? Temporalities of Globalisation”. At the conference I will talk about how the reiteration of the nineteenth-century migrant Manila musicians in the contemporary Overseas Filipino entertainers is historically rooted in earlier forms and temporalities of globalization that goes back to the nineteenth and seventeenth centuries. Contemporary discourses of cultural globalization often see the hybridity of the migrant Filipino musicians as an aberrant case of cosmopolitanism (See for example Appadurai 1996; Rosaldo 1998; Zialcita 2005). This anomalous view is founded on an Anglo-centric perspective of global histories, which is premised on the rise of the British Empire in the mid-nineteenth century. Such framework ignores a longer trajectory of the history of globalization that goes back centuries earlier when the sixteenth-century Indian Ocean and China Sea commercial network integrated with the Pacific Galleon trade. There are lots of interesting intersecting topics that are lined-up in the program, so if you are in Amsterdam, please do join us! Appadurai, Arjun. Modernity at Large. Minneapolis: University of Minnesota Press, 1996. Zialcita, Fernando Nakpil. “Introduction: An Identity under Question.” In Authentic But Not Exotic, 1–34. Quezon City: Ateneo de Manila University Press, 2005. Rosaldo, Renato. “Ideology, Place, and People without Culture.” Cultural Anthropology 3.1 (1988): 77–87.